A day after MPs voted to allow fracking under national parks, new exploratory fracking licences have been released, including one which covers Barnsley. 93 licences to explore 159 blocks of land across the UK were granted on Thursday 17th December 2015. One of those blocks (SE30b) covers an area that includes Barnsley town centre, Cudworth, Barugh Green, Dodworth, Hood Green, Worsbrough, Birdwell, Ardsley and Elsecar. Barnsley Green Party have condemned the newly released fracking licences. A spokesperson explained, “This is very bad news for Barnsley and the surrounding areas. 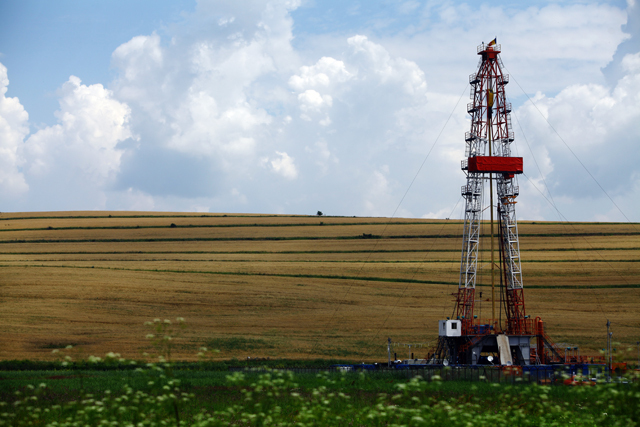 Wherever fracking has been practised it has left behind a trail of environmental damage. “When fracking moves into an area there may be a promise of quick benefits for local communities, but the reality is often that the few local jobs that are created dry up once the fracking is finished and communities are left to live with the consequences. David Burley of Frack Free South Yorkshire joined the condemnation, commenting, “Only one week after signing the international agreement to curb climate change, our UK government seems hell-bent on doing the exact opposite, regardless of local wishes. Shale gas is yet another fossil fuel that scientists around the world say we should leave in the ground. This ‘dash for gas’ is bonkers. “Fortunately, opposition continues to grow: South Yorkshire MPs Michael Dugher, Dan Jarvis, Ed Miliband and shadow front-bencher Louise Haigh have already called for a moratorium on fracking. The independent campaign ‘No Fracking in Barnsley’ will hold a meeting on Tuesday 5th January 2016, from 6.30pm at Barnsley YMCA to discuss the threat of fracking in the area.